MARINE CORPS BASE QUANTICO – The National Defense Strategy and the enemy’s evolving technological capability are forcing the Marine Corps to think more seriously about how to tackle sea control, ground-based air defense and situational awareness for squads operating in a dispersed manner. Several speakers at the annual Modern Day Marine event last week discussed the way the service is looking to develop new systems to meet these challenges. Col. Michael Manning, Ground Combat Element Systems portfolio manager at MCSC, elaborated that there are many missiles in industry today that can take on the sea control mission, but the Marines need something that fits in their launchers and can integrate with Marine – and Navy – command and control systems. Manning told USNI News during a question and answer session that there’s money in his portfolio and a handful of missiles that are being looked at, but the integration piece will determine how the Marine Corps moves forward. Under the Marines’ Expeditionary Advance Base Operations concept, Marine ground forces may be dispersed ashore – and potentially isolated on different islands in an island chain – and would have to not only protect themselves but also contribute to the joint maritime fight for sea and air control. Having an anti-ship capability would be an important step in achieving this vision. He added that the Marines weren’t far enough along to start planning any tests or demonstrations yet. 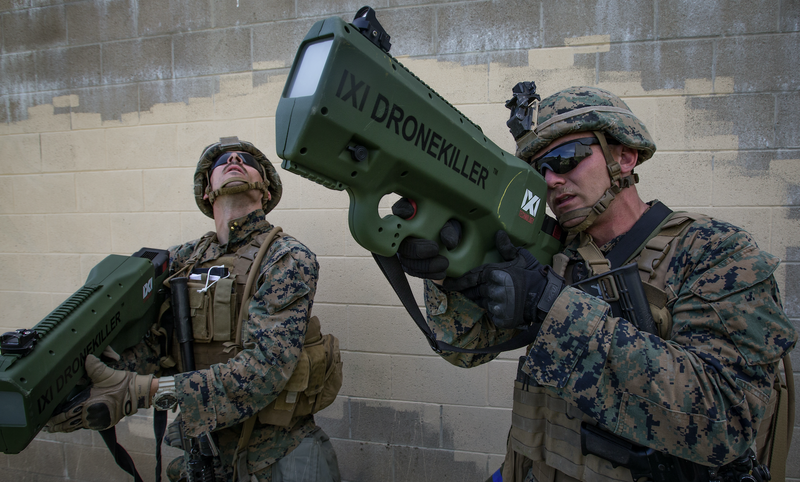 The Marines have overhauled the web of systems that contribute to defense against rockets, mortars, artillery and small unmanned aerial systems (UAS), but a rapidly evolving threat has led to ground-based air defense research to be “probably one of the hottest buttons right now for us in the PEO,” Program Executive Office for Land Systems’ Director of Science and Technology Mike Halloran said in a separate panel at Modern Day Marine. The AN/TPS-80 Ground/Air Task-Oriented Radar is the new radar that will look for incoming air threats. 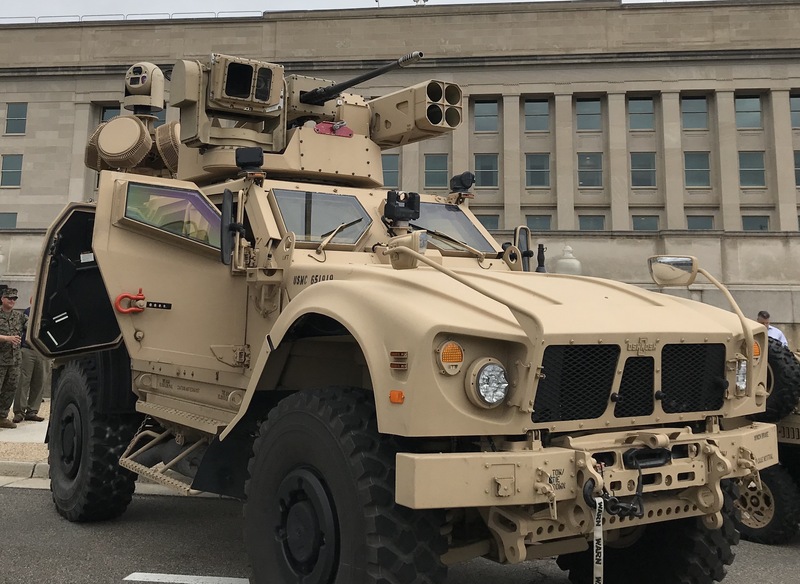 G/ATOR Block 1, which covers air defense and air surveillance, is currently in initial operational test and evaluation, Rob Cross, the deputy at PEO Land Systems, said during the panel. G/ATOR Block 2, with a counter-battery capability, is set to begin its IOT&E soon, he said. USNI News previously reported that Block 1 testing was scheduled to begin in October and Block 2 in December. The Common Aviation Command and Control System (CAC2S) that integrates the information coming in from the G/ATOR is now fielded and in the sustainment phase, Cross said. But there’s a lot of ongoing movement in the latter part of the kill chain, and in fact the “Ground Based Air Defense” portfolio that looks at defeating threats was recently pulled out of the G/ATOR program and made into its own program office with a program manager, in a nod to the importance of keeping up with this technology. The new office will pursue a GBAD Future Weapon System (GBAD FWS) called the Marine Air Defense Integrated System (MADIS), which will be the next-generation solution for low-altitude air defense (LAAD) battalions. MADIS Increment 1 is in engineering and manufacturing development now, according to briefing slides from the PEO. 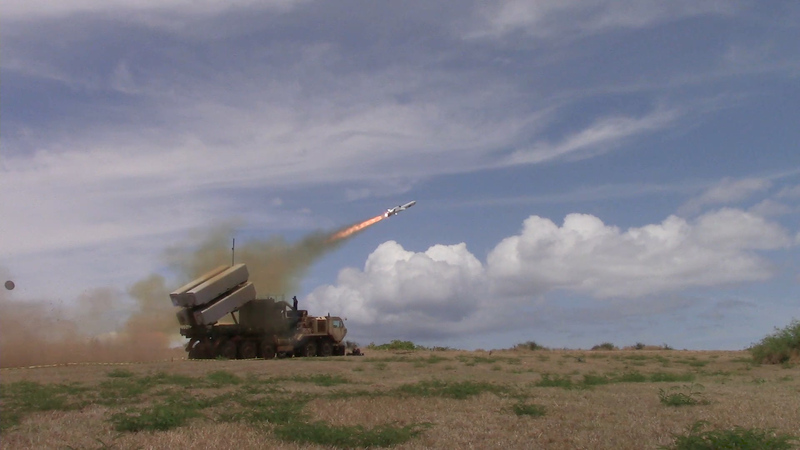 Halloran told USNI News during a question and answer session that, in addition to the development taking place on the MADIS program, the science and technology community is looking at the ground-based air defense problem from a variety of angles and throughout the whole kill chain. “As you’re trying to counter UAS, it’s important that you reach out farther than they can reach in, so what we’re looking for is ways to identify those UASs at a distance before they can do us any harm,” he said. A Marine with Kilo Company, 3rd Battalion, 5th Marine Regiment, assists his squad by providing reconnaissance with an “Instant Eye” unmanned aerial system at Marine Corps Air Ground Combat Center Twentynine Palms, Calif., July 31, 2016. US Marine Corps photo. From another perspective, the National Defense Strategy portends a greater reliance on the Marine Corps rifle squad, which may be dispersed and therefore will have to be more self-reliant, Joe L’Etoile, the director of the Close Combat Lethality Task Force, said at Modern Day Marine. Under Expeditionary Advance Base Operations and other similar concepts, the squad will need greater access to fires, and greater access to information for improved decision-making, he said. 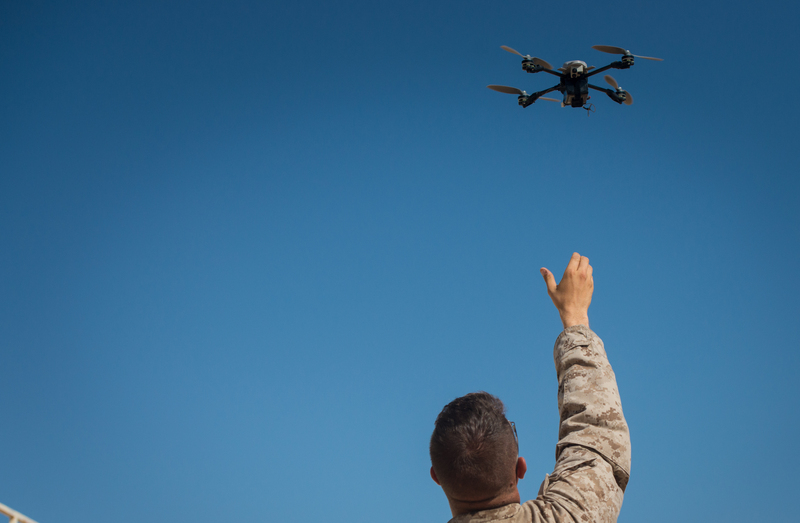 Marine Corps leadership has already approved the addition of a tech manager to control unmanned systems and other gear that will help the squad, as well as an assistant squad leader that will manage the information that comes out of these systems. As for the tech itself the Marines want, L’Etoile said there’s a focused effort on the sensing phase of the kill chain, where ground forces experience the most combat casualties. Advances in artificial intelligence, unmanned aerial systems and robotics will be important here, he said. “In the sensing realm, which I would tell you, if you look at where casualties actually have taken place, about 90 percent – I like to look at that 90 percent as, what part of this is find ‘em, fix ‘em and finish ‘em? We’re pretty darn good at fix ‘em and finish ‘em – we could do better – but where we tend to take our casualties is in the find ‘em,” he said.